Now I know how John Cox over at WildaboutHoudini.com feels. 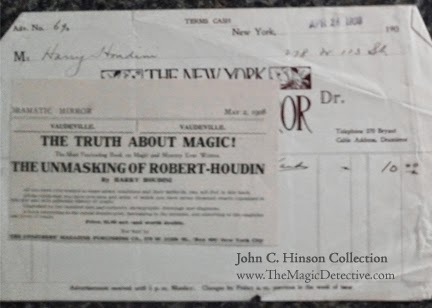 I received this wonderful image of Houdini promoting his book The UnMasking of Robert-Houdin from John Hinson. 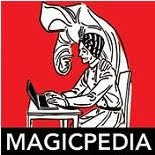 I split the image into two, so first you'll see the photo Houdini used to promote his book, The UnMasking of Robert-Houdin. The second image is a receipt and copy of the ad that was to appear in The New York Dramatic Mirror on May 2, 1908. Incidentally, the image of Houdini in the chair is signed by Houdini, midway through the photo, 'Harry Houdini 1908'. Thank you John, for your generosity and allowing me to share this great photo with my readers! Wonderful! It's a great shot. It is a great shot and looks to be part of a larger photo session. 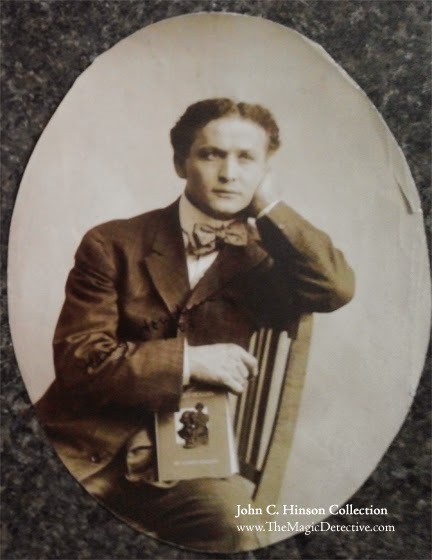 There's another shot of Houdini sitting in the same chair with the book in his lap, and all we see is the spine.